Has your anxiety ever prevented you (or someone you know or love) from making that call to your dentist or going forward with desired treatment? Has dental anxiety been something you have dealt with for most of your life? Well, you are not alone and a lot of our patients have felt that same way. We receive loads of calls and emails regarding this very topic. Dr. Emery has created a dental “spa” for her patients; there are countless comforts you’ll notice just as soon as you enter The Loft. Fresh flowers and lit candles adorn many areas throughout The Loft while soft music plays. Once you are seated in the operatory, you’ll be given a warm neck pillow (subtly scented with lavender) to help relax those muscles, and you can snuggle up in a soft, cashmere blanket. Additionally, all patients have the option of watching Netflix or even listen listening to the music of their choosing through their Bose Noise-Cancelling Headphones. In addition to the relaxation accoutrements we provide for all of our patients, we know there are still some folks that need a bit more. Never fear! What we’ve found at Sugar Fix Dental Loft is that there are 2 easy approaches we can utilize to help relieve our patients of this fear. Whichever method of sedation you decide to use, if any, will absolutely ensure that your experience here at The Loft is exceptional. Your comfort and overall experience in our office has and always will be one of our top priorities. Sit back. relax and actually enjoy visiting the dentist! The first and most commonly used sedation would be an oral sedative. Dr. Emery can prescribe a medication like Valium or Diazepam, that you will take both the night before as well as the morning of treatment. This FDA-approved prescription provides the perfect level of relaxation for you while still allowing you to be responsive and alert. This solution works well for the majority of our patients and allows them to sit through their cleaning or dental treatment with ease. Secondly, we can offer you a nitrous oxide (gas) at the time of your appointment. This gas is inhaled nasally; given to you at the beginning of your appointment and will be removed directly at the end. Nitrous oxide is a good alternative to an oral sedative in that it does not last as long and you are able to drive and work both before and after treatment. 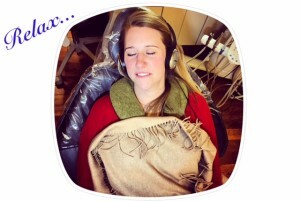 However, nitrous oxide does not always have the same level of relaxation in comparison to the oral sedative. There is no longer a reason to let your fear get in the way of your dental health and dental desires. We here at Sugar Fix Dental Loft are keenly aware that this fear does exist and we are happy to help you work through and maybe even overcome those fears. Please don’t be embarrassed to give us a call and tell us of your concerns or dental anxiety. Trust us, you’re not the first person that has felt that way, and all we want to do is comfort you and make coming to Sugar Fix Dental Loft a truly pleasant experience for you.